Vidzeme region has one of the biggest heat losses in the district heating networks in Latvia, indicating the need to adjust existing district heating systems. “Low temperature district heating (called also 4th generation) grids are characterised by low grid losses (by decreasing the supply temperature below 70°C), integration of renewable heat (from solar, geothermal, waste and biomass sources) and integration with cooling network and smart energy systems. The technologies converting solid biomass into biogas as well as liquid biofuels will also play important role in these future smart energy systems. These smart energy systems will be characterised by high degree integration between district heating, cooling, electricity and transport fuel, leading to possible synergies among them,” says Adam Cenian, dr hab. in Institute of Fluid Flow Machinery, Polish Academy of Sciences (IMP PAN) and Lead partner for LowTEMP project. 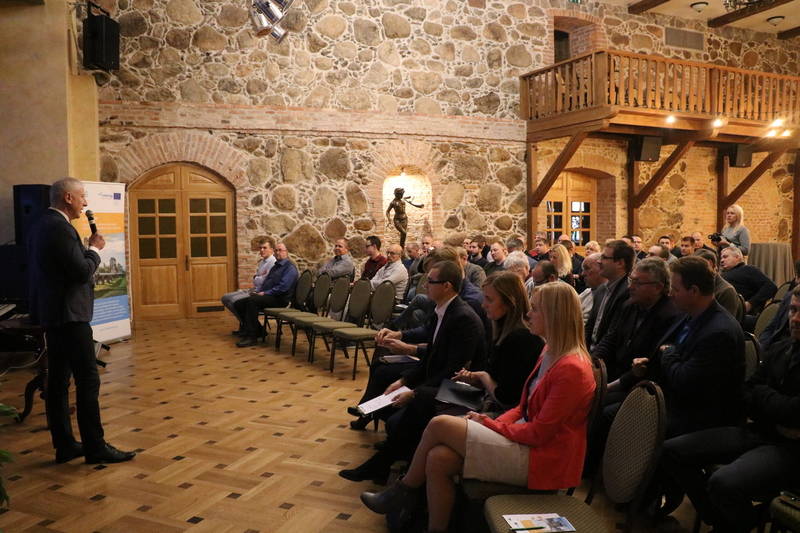 In the Vidzeme region, the main forerunner of implementing low temperature district heating is Gulbene Municipality with the LowTEMP project pilot case in Beļava village. “October 2018 was the start for 2018/2019 central heating season in Beļava village, and also the first pilot trial for new, recently installed low temperature district heating (LTDH) systems. 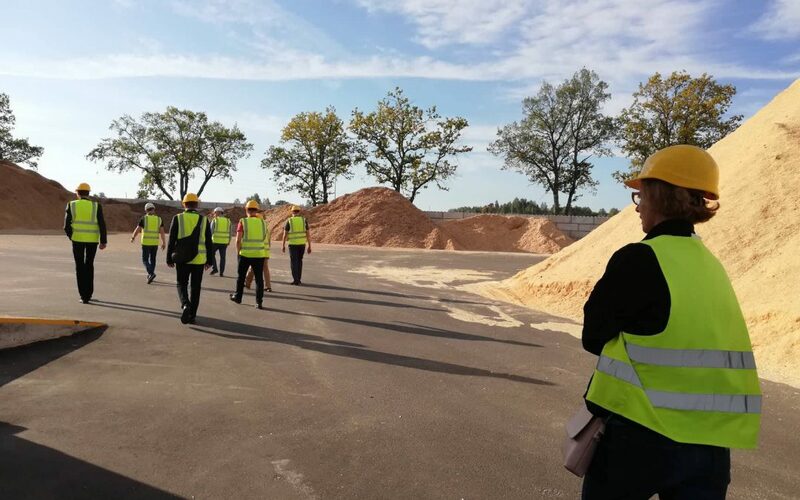 For the two insulated buildings in Beļava village low temperature heating is being provided with supply and return temperatures of 55°/25°C in buildings inner heating circle,” says Sandis Kalniņš, Energy manager, Gulbene Municipality Council. In the context of the LowTEMP project implementation RTU is mostly working with the development of a general methodology for strategic implementation of Low Temperature DH concept within sustainable energy systems at municipal level. The proposed methodology aims to promote a transferable tool within the whole Baltic Sea Region enhancing the transition to smart and sustainable DH grids. During the project implementation three Pilot Energy Strategies (PES) will be developed within the frame of the methodology implementation. One of these will be customized for Gulbene Municipality with the intention to provide concrete plans and strategic approaches to tackle the current DH problems and to identify the potential adaptation strategies for existing district heating systems. Within the implementation of the PES for Gulbene Municipality, the pilot measure implemented in Beļava Parish, it has been possible to positively create an optimal synergy from the academia and municipality creating collaborative approaches tackling the current problems and identifying the optimal solution for the improvement of existing district heating systems. “There are ongoing debates on pros and cons regarding the potential transition and introduction of 4th generation DH systems and Latvia is not an exception. There is evidence of a need for strategic planning both at municipal and national level aiming to prioritize in a comprehensive and holistic way the heat source, the distribution network and the final heat demand side. It is a fact that at community scale low temperature district heating represents a viable and relevant opportunity considering the need to move toward energy systems with higher share of renewable energy, greater energy efficiency and a reduced fossil energy consumption. Thus, we need resilient DH systems for which an important infrastructural adaptation is required.” says Prof. Dagnija Blumberga, Director of the Institute of Energy Systems and Environment at the Riga Technical University.